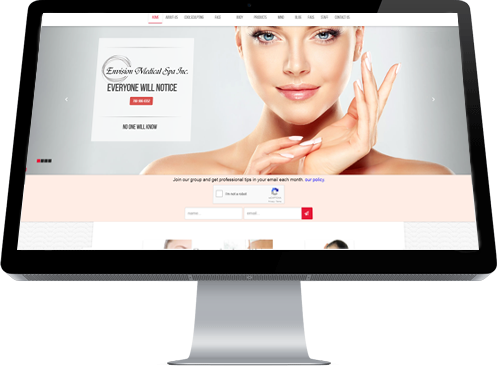 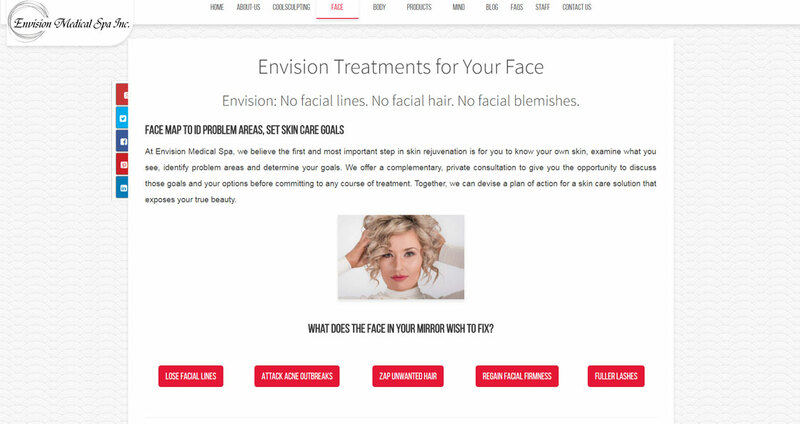 Envision Medical Spa, an immensely popular health, wellness and beauty-focused spa in Leduc, wanted to give their website a "face-lift" as it had begun to show its age. 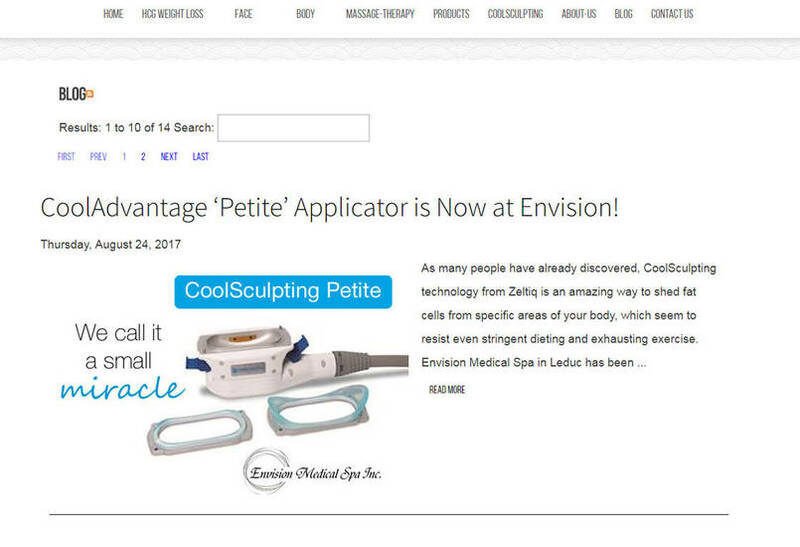 Additionally, the firm wanted to rebrand their company as "Envision Medical Spa Inc.", while transitioning from their earlier "Renu-Elle" name. 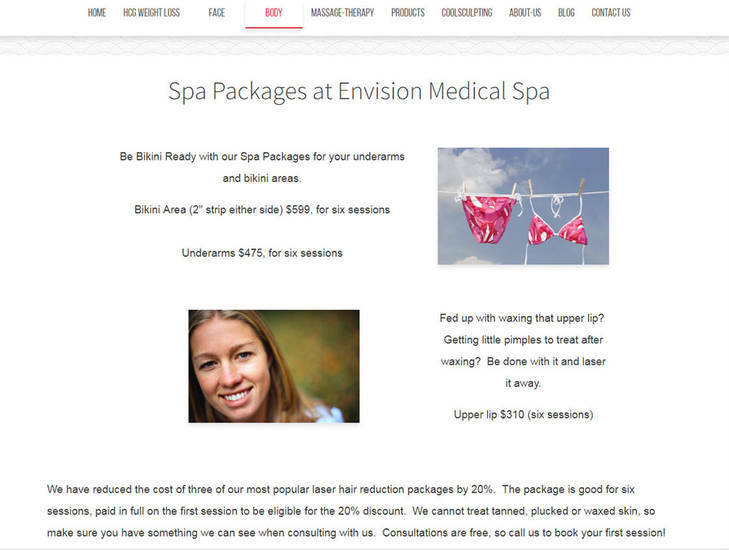 Along with the modernization, Envision was interested in having a tighter design with more products and services to reflect the new procedures they offered at the spa. 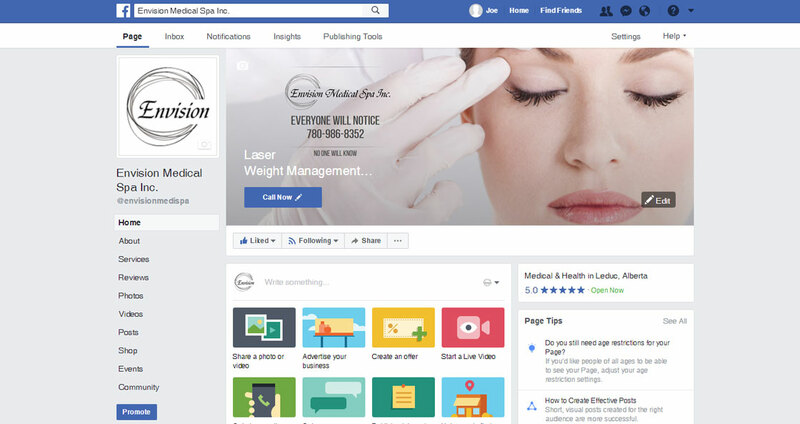 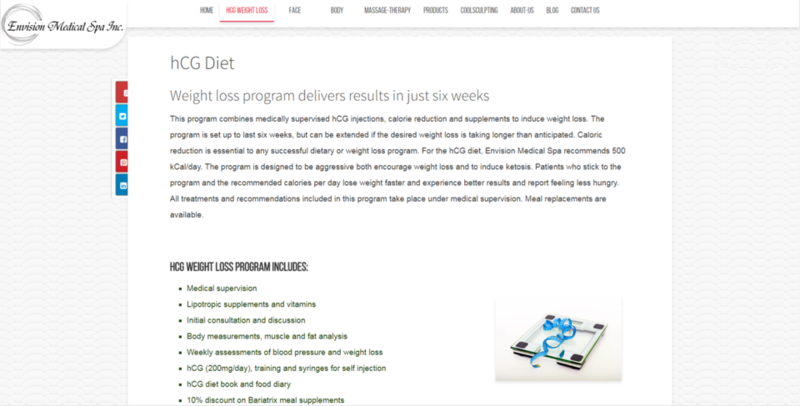 A new page dedicated to their latest weight-loss procedure, "Coolsculpting"
Social media marketing to engage potential clients using platforms such as Facebook, Google+, Pinterest and Twitter.